Tropical plants are sensitive to chilling temperatures above zero but it is still unclear whether photosystem I (PSI) or photosystem II (PSII) of tropical plants is mainly affected by chilling temperatures. 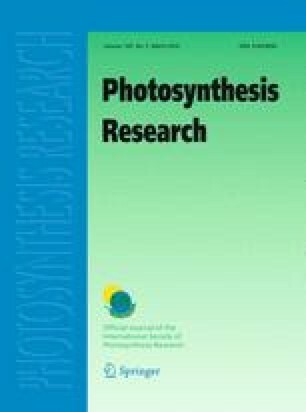 In this study, the effect of 4°C associated with various light densities on PSII and PSI was studied in the potted seedlings of four tropical evergreen tree species grown in an open field, Khaya ivorensis, Pometia tomentosa, Dalbergia odorifera, and Erythrophleum guineense. After 8 h chilling exposure at the different photosynthetic flux densities of 20, 50, 100, 150 μmol m−2 s−1, the maximum quantum yield of PSII (F v /F m) in all of the four species decreased little, while the quantity of efficient PSI complex (P m) remained stable in all species except E. guineense. However, after chilling exposure under 250 μmol m−2 s−1 for 24 h, F v /F m was severely photoinhibited in all species whereas P m was relative stable in all plants except E. guineense. At the chilling temperature of 4°C, electron transport from PSII to PSI was blocked because of excessive reduction of primary electron acceptor of PSII. F v /F m in these species except E. guineense recovered to ~90% after 8 h recovery in low light, suggesting the dependence of the recovery of PSII on moderate PSI and/or PSII activity. These results suggest that PSII is more sensitive to chilling temperature under the moderate light than PSI in tropical trees, and the photoinhibition of PSII and closure of PSII reaction centers can serve to protect PSI. The CAS-XTBG plant germplasm bank provided the cold storage room for the chilling experiment, and Xishuangbanna Station for Tropical Rain Forest Ecosystem Studies (XSTRE) provided climatic data. This study was supported through an open project grant funded by the Key Laboratory of National Forestry Bureau for Fast-growing Tree Breeding and Cultivation in Central South China.